What defines a good leader? The answer is complicated, especially in the real estate industry where most broker/managers face a variety of responsibilities. Leading employees within your firm, for example, can be very different from exhibiting leadership with independent licensees. Additionally, you may serve on one or more committees with your local or state association of REALTORS®, or at the national level. 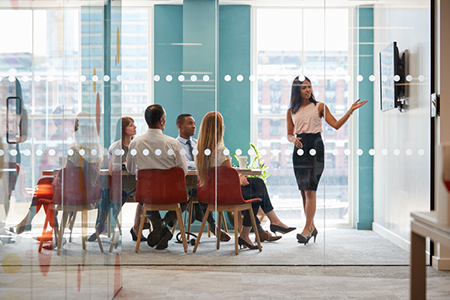 In each of these roles, and others, you are asked to “raise the bar”—bring something more to the table, whether it’s fostering open communication, building trust, managing conflicts, or exhibiting any number of other leadership qualities. While most of us can effectively navigate these challenges, it’s important to continue honing your leadership skills/abilities. How do you identify your own competencies (and shortcomings)? You could set up an anonymous suggestion box in your office—or ask your significant other to weigh in. If you’re lucky, this might be interesting and helpful, but I’m confident that the results will not be as reliable as a research-based skills assessment. More importantly, how will you work on improving your current skills? In my role as a leader at REALTOR® University, I’m proud and excited to introduce you to a powerful new resource from our Leadership Institute, which effectively tackles both challenges: assessing current leadership competencies and providing customized online training for skills development. The new Leadership Assessment is a first-of-its-kind online experience, backed by extensive educational industry research and insight from nationally recognized leaders. To establish your own initial benchmarks, visit leadershipinstitute.realtoru.edu and register using your NRDS ID. This only takes a minute, but is necessary for saving your results, using the customized training modules, and taking follow-up assessments. You will receive a score in each of these areas, along with recommended training modules for improving your skills in various sub-competencies. Training recommendations are presented as micro-courses, each taking no more than 30 minutes to complete. In addition to teaching points, each micro-course includes several short videos featuring leaders in the real estate industry. After completing the training, retake the assessment. On average, users see an improvement in competency scores ranging from 3-6 percent after one round of training. You can repeat this process as many times as you want, receiving updated training recommendations with each evaluation. REALTOR® University’s Leadership Institute was initially formed to manage NAR’s Leadership Academy and now offers leadership training resources to members, REALTOR® Associations and the public (only NAR members can access these resources free of charge). I encourage you to learn more about our efforts to support industry leadership at realtoru.edu/leadershipinstitute and to share this valuable resource with your agents. Marc D. Gould is senior vice president, Member Development, for NAR and executive director of the Real Estate Buyer’s Agent Council (REBAC). A wholly-owned subsidiary of NAR, REBAC is the world’s largest association of real estate professionals focusing specifically on representing the real estate buyer. With more than 30,000 active members, REBAC awards the Accredited Buyer’s Representative (ABR®) designation to REALTORS® who have completed the designation requirements. To learn more, please visit REBAC.net.